I try to do this meme every year. I am pretty sure I first learned about it from my friend Lisa, and fortunately she reminded me again with her post here. The linky for this can be found over at The Happily Ever After. So apparently I have a lot of mom/parenting-related reads in my list this year. I actually also love that I was automatically pulled towards some authors I know or sort of know through blogging and twitter. I've got 61 books done and we've got four days left of the year. I also got a Kindle for Christmas, so I'm reading more *easily* now. Maybe next year I'll hit 70? If you want to see the rest of my Reading With Redneck list for 2012, along with those from previous years, check them out here: What I Read. And as always, HAPPY READING!!! Wow, the only one I've read on your list is Wild - I read that this year also. I found it fairly interesting. You asked about The End of Your Life BOok Club and I have to say out of ALL the books I read this year, that one was my top favorite! I ADORED IT! I loved it so much I immediately ordered a copy for my uncle (my fellow book friend) and sent it to him - I couldn't stand the thought of him never reading that wonderful book! Wow! So impressive! I love to read, but have never kept track, I do know that right now it is no where near 66! I am going to check out your list. what a great idea. love the books you picked in response to the categories and great job reading 60 books! I linked up but I didn't see your link posted. 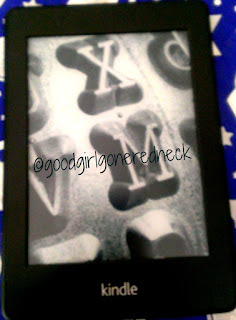 I got a kindle for Xmas too, I love it, hope it will help me meet the 4 different reading challenges I signed up for! Happy reading! GREAT answers! I LOVE them! I can totally relate to 'Confessions of a Scary Mommy.' LOL! Oh and where you would go.. 'Wherever You Go." PERFECT! Oh no .. your best friend is 'Chocolate and Vicodin' ? hahaha! I love that you and your friends are Chocolate and Vicodin, what a great/fun answer. Congrats on reading 60 books in 2012.